↑ "Population Projections for Provinces (2013~2040)" (pdf). Statistics Korea. 1 December 2015. สืบค้นเมื่อ September 26, 2015. ↑ "Major Indicators of Korea". 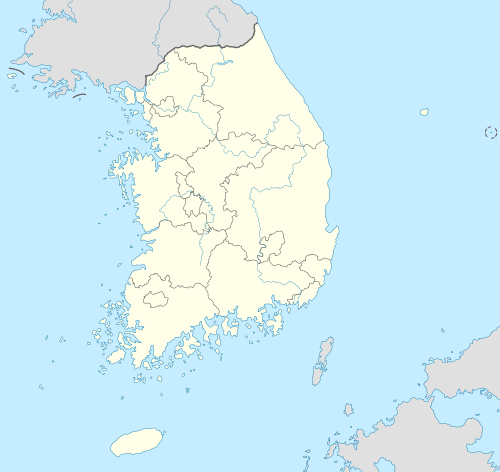 Korean Statistical Information Service. สืบค้นเมื่อ September 26, 2015. ↑ "South Korea". World Bank. 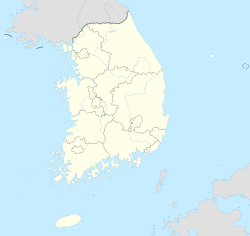 ↑ "Constitution of the Republic of Korea". Constitutional Court of Korea. Archived from the original on March 23, 2008. สืบค้นเมื่อ June 26, 2009. ↑ "International Religious Freedom Report 2008 – Korea, Republic of". U.S. Department of State. Bureau of Democracy, Human Rights, and Labor. January 22, 2009. สืบค้นเมื่อ January 31, 2010. ↑ 13.0 13.1 Grayson, James Huntley (2002). 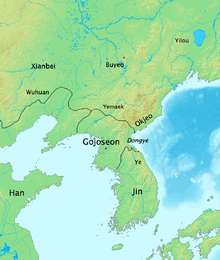 Korea: A Religious History. Routledge. p. 195. ISBN 0-7007-1605-X. ↑ Colin Whittaker, Korea Miracle (book), Eastbourne, 1988, p. 63. ↑ 16.0 16.1 Agence France-Presse (January 31, 2009). "S. Korea president faces protests from Buddhists". The Straits Times. สืบค้นเมื่อ January 31, 2009. ↑ Kim, Andrew Eungi (2000). "Christianity, Shamanism, and Modernization in South Korea". CBS Interactive. Archived from the original on June 28, 2012. สืบค้นเมื่อ February 13, 2009. ↑ Moll, Rob (March 1, 2009). "Missions Incredible". Christianity Today. Christianity Today International. สืบค้นเมื่อ February 17, 2009. ↑ "Buddhism in Korea". Korean Buddhism Magazine, Seoul. 1997. สืบค้นเมื่อ February 17, 2009. ↑ "International Religious Freedom Report 2008 – Korea, Republic of". United States Department of State. September 19, 2009. สืบค้นเมื่อ February 17, 2009. ↑ "BBC – Korean Zen Buddhism". Bbc.co.uk. October 2, 2002. สืบค้นเมื่อ April 25, 2010. ↑ "Islam takes root and blooms". Islamawareness.net. November 22, 2002. สืบค้นเมื่อ April 25, 2010. ↑ "Korea's Muslims Mark Ramadan". The Chosun Ilbo. Seoul. September 11, 2008. สืบค้นเมื่อ March 4, 2012. หน้านี้แก้ไขล่าสุดเมื่อวันที่ 22 มีนาคม 2562 เวลา 06:26 น.